There are over 1.94 billion websites out there including a host of top finance sites. Think Yahoo! Finance with an estimated 70 million unique monthly visitors and MSN Money MoneyCentral which rolls in over 65 million visitors per month. 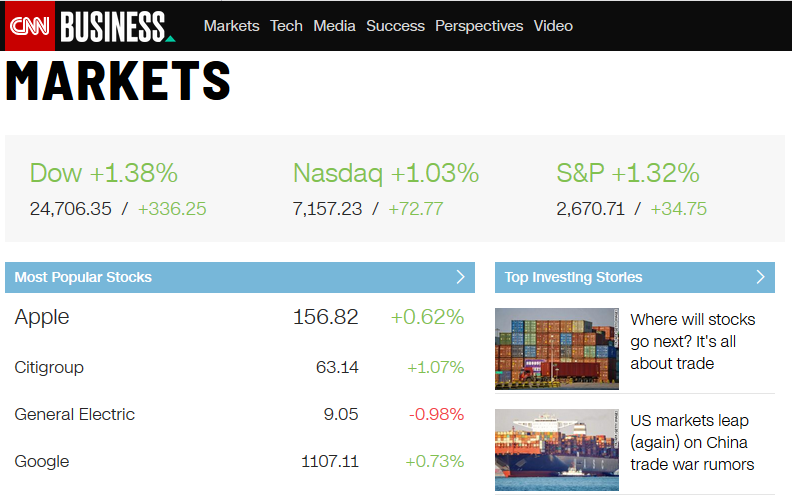 Then you’ve the likes of CNN who delve into the financial markets providing all the latest stats, as seen below. This showcases the wide range of online competition that could potential pry away your target audience. Over 4 million blog posts are published on the internet every single day in 2019. Must-read finance blogs have really come into their own of late with both companies and individuals offering vital advice for traders, investors and those looking how to best manage their wealth. Of course, at Contentworks we also provide up-to-date posts full of useful takeaways for your brand. There are over 4 billion internet users and yet 75% of people never scroll past the first page in search results. So, if you’re not ranking highly enough, it’s time to take action. It’s one thing having a website. It’s another to have a website that performs well. Each page needs to have at least 500 words of optimised content otherwise it won’t be correctly indexed by search engines and you’ll miss out on essential traffic. So, if you’re a broker offering numerous products such as forex, energies, crypto and so on, it’s essential to not only link through to each asset but provide the right amount of content. Top tip: Research and understand the keywords you should be using before writing content. Contact Contentworks for our ‘Contented’ marketing solution. If you don’t have a blog, what have you been doing with your time? Blogs are the perfect way to engage with consumers and generate fresh content, which search engines love. They can be loaded with keywords and can help establish your business as a thought leader. Remember, 47% of buyers read 3-5 pieces of content before engaging with a sales rep. So the more switched on you are, the better. Top tip: Long form posts generate 9x more leads than short posts. So, don’t be afraid to go into detail about your specialist topics and provide users with the information they need. Be different, do your research and make sure all content is unique. Long paragraphs. Internet users have an attention span of 8 seconds. That’s less than a goldfish. Therefore, even if you have great content, great big chunks of text can still scare people away. Check out the below snippet regarding a SugarCRM and IMB collaboration to provide an optimised user experience. The details are good. But the format is too long and should be broken down into smaller chunks to make people want to read on. Long sentences. If you waffle on and on. Stop it! Keep your content fresh and punchy. Not using headers. H1, H2, H3 tags help to divide your content and improve your Google search rankings! Use them as a ways to help readers navigate a specific page. Falling short of information. The average word count of top-ranking content (in Google) is between 1,140-1,285 words. Aim for this. Avoid going too far over to avoid snooze-factor content that puts people to sleep. Forgetting images. Blog articles with images get 94% more views. 95%! That’s huge, so optimise your images for the web so they don’t slow down your page loading speeds and start attracting more attention to your part of the internet. Here’s an example from MoneyLion which includes nice clear imagery both on the main blog pages and thumbnails. Top tip: Web users spend 80% of their time looking at information above the page fold. So, don’t save the best ‘til last. Put key messages at the top of the page where they’ll get noticed sooner! But what about those who actually click through to your website? They’re interested right? Well, probably unless your bounce rate is huge which means you need to make sure your initial marketing content is not simply irrelevant and used for click-bait. If you have people on the hook, keep them there with a content marketing strategy that works. You can do this by showcasing your products through insightful and well-written webpages, blogs and social media activity. Be sure your site is highly intuitive, easy to use and has been optimised for the web. After all, over half of all global internet traffic is dominated by mobile users. And what about those who have made a purchasing decision? Well now you need to up your game to keep them interested. One of the best ways to do this is to build an educational hub. Set yourself apart as a go-to resource for all trading, investment and wealth management needs and you should see a positive impact on performance. Blackwell Global’s Forex education platform looks like this. Why make your job more difficult than it has to be? If you’re producing great content, make it easy for others to sing and dance about it! Your blog should certainly have floatable share options or social media share buttons! Your content should also be worthy of sharing! If it’s not, people won’t make the effort. Blogs with images are a must. Catchy headings are important. Content targeted to your audience is essential. Content should also be helpful and problem solving. Something people will make time to read in their busy schedule. Think about infographics or stats with a ‘tweet now’ option. Get Socially Sorted with Contentworks. You’ve written a really great blog post. What’s next? Are you going to simply post it and continue with daily chores or are you going to squeeze the most out each word and sentence? The latter is the best option if you want to maximise your marketing efforts. In your blog there are likely to be awesome stats that you can tweet. You might be able to create a fun meme, image or infographic to share on Facebook! 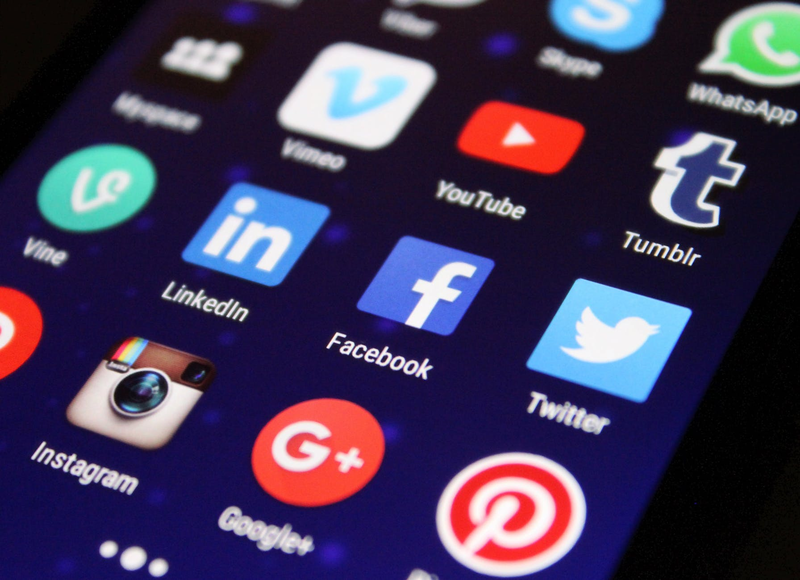 Any relevant visuals can also be posted nicely on Instagram and if you can link back to the post in a LinkedIn article that would also help with publicity. 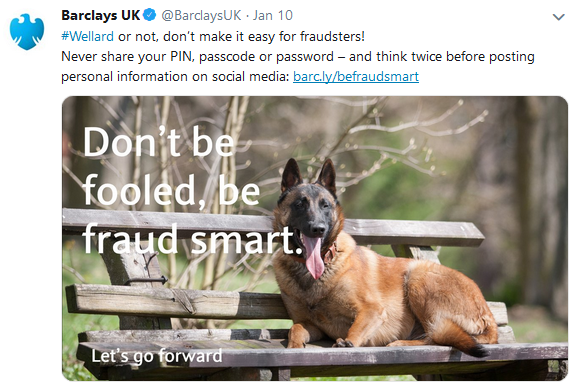 Here’s a great example from Barclays UK where a larger article on being fraud safe has converted into a relevant tweet. Heading up the team at Contentworks Agency we see big brands making content marketing mistakes they didn’t even realise they were making. Contact me today to learn more.